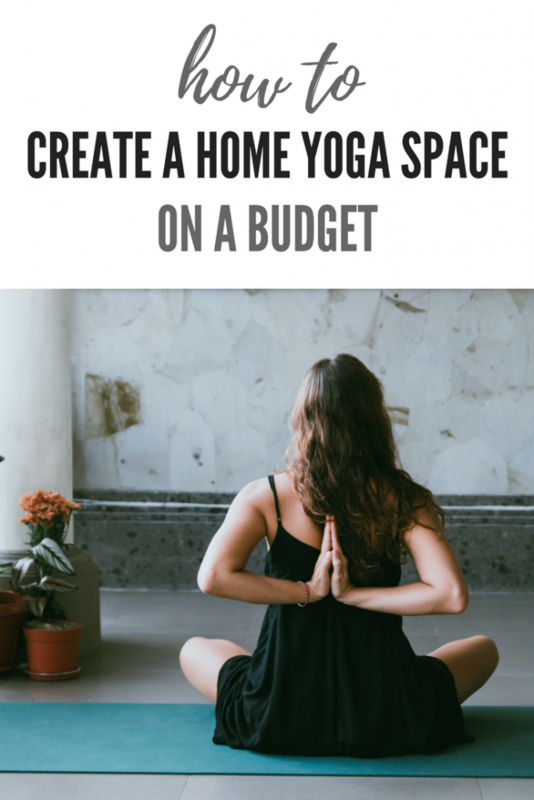 How to create a peaceful home yoga space on a budget! While we love to attend class at yoga studios, we also like to have the option of practicing at home. However, we have never had the best set up for an in-home yoga practice. Until recently we simply rolled our mats out in the living room and moved some furniture out of the way. Now, this does get the job done, but we enjoy the peace and calm a real yoga studio creates for a focused practice. When deciding on a house, we absolutely kept in our minds the ability to create the yoga space we envisioned. We found the perfect set up in terms of space, but it was up to us on creating the environment we wanted to make our at home practice as similar to a studio as possible. Having been to a number of studios in the past, we had a good idea on what was needed, but executing is always key. 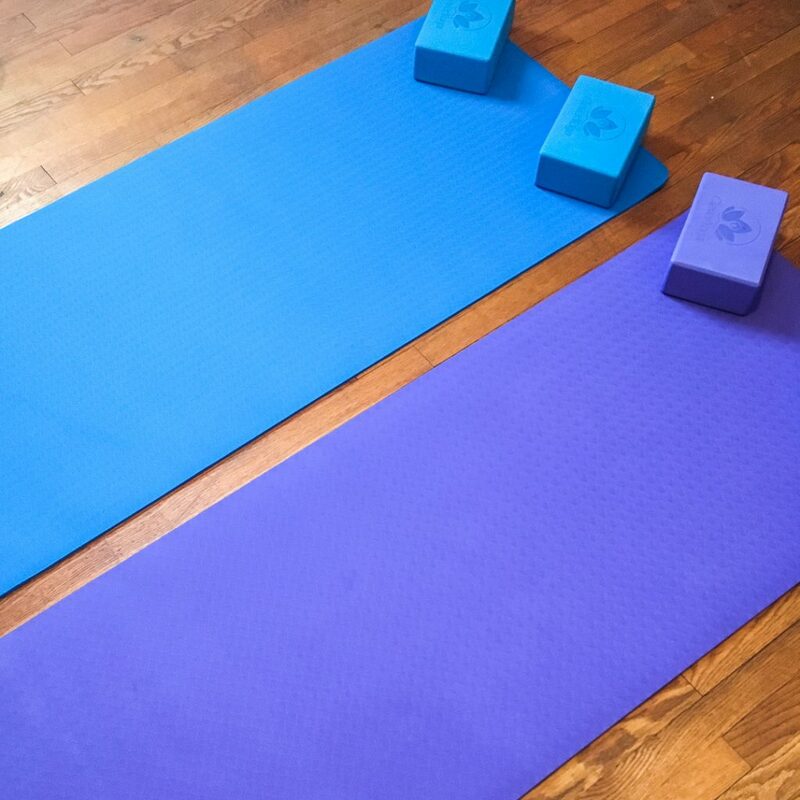 How we created a home yoga space on a budget and turned a spare bedroom into a tranquil setting for yoga, meditation, or simply a place to sit in peace and quiet. One of the first things we noticed when moving our practice home was our lack of yoga props. We had mats, but we were missing a few important pieces to the puzzle, specifically yoga blocks and straps. Since we needed to shop for yoga props, we decided it was a good time to invest in new yoga mats as well. We researched different companies and options, but kept coming back to this yoga kit from Clever Yoga. We’re happy we decided to go with this option, as it includes everything we need. Each kit comes with TWO blocks, a yoga strap, mat, towels, and a carrying case. Though we won’t be transporting our kit, the carrying case is perfect for storing everything and keeping our space neat and tidy. Lighting is a big factor in setting an atmosphere and we wanted to make sure we nailed it. The room has a traditional ceiling light, but it is not exactly calming. We’ve considered rope lights, which can be laid on the floor, as well as flameless candles. We are still tinkering a bit with this, as we have lots of regular candles too. Candles are wonderful and can emit beautiful smells, but we already have another option for scent (keep reading). Plus, there is always the potential fire hazard when dealing with actual flames. Currently we are using a floor lamp with a low wattage dimming bulb, but we believe our final decision will be rope lights on the floor around the permitter of the space. Plants are perfect for adding ambience and life to any home yoga space, plus, they help purify the air in your home. 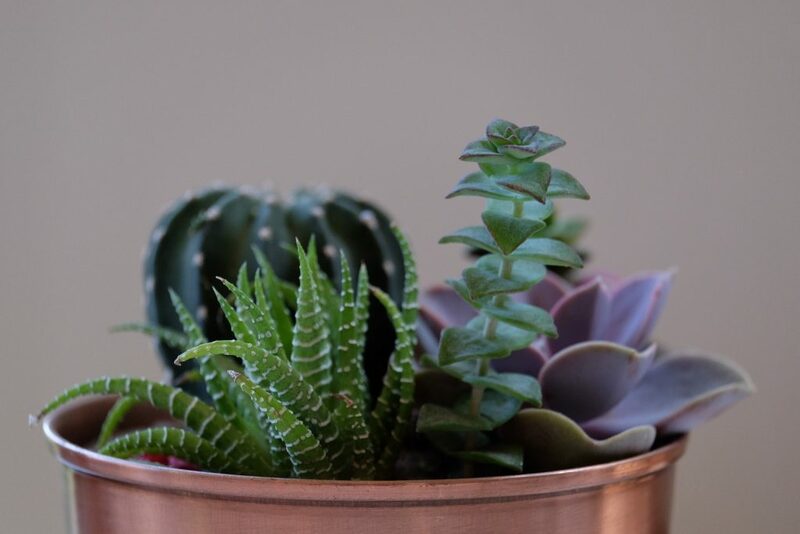 Succulents are a great option for us because they are easy to keep alive and somehow don’t seem to mind our never ending winters in Wisconsin. We also have a jade plant that perfectly anchors one of the corners of the room. When attempting to create a home yoga space on a budget, plants are a nice inexpensive way to add color and warmth. 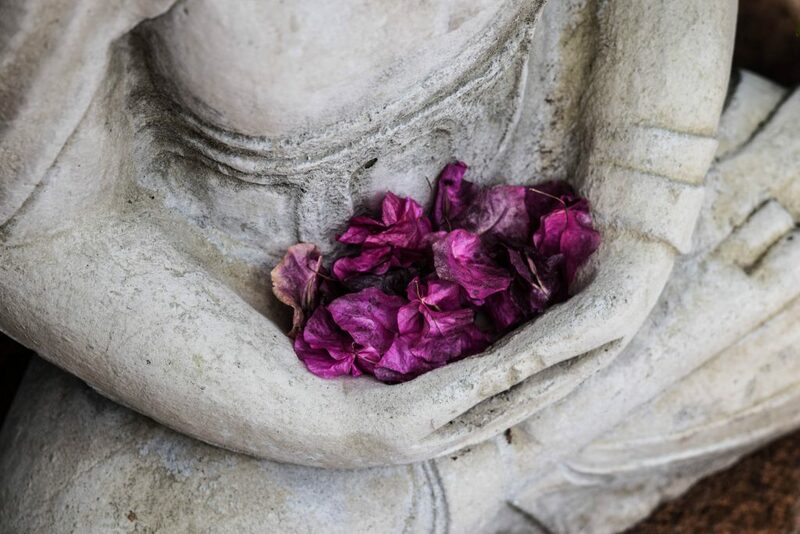 One of our favorite classes of all time is Aroma Yin at a studio in Madison, WI. A different essential oil is offered with each pose and it really brings the class to a whole other level. 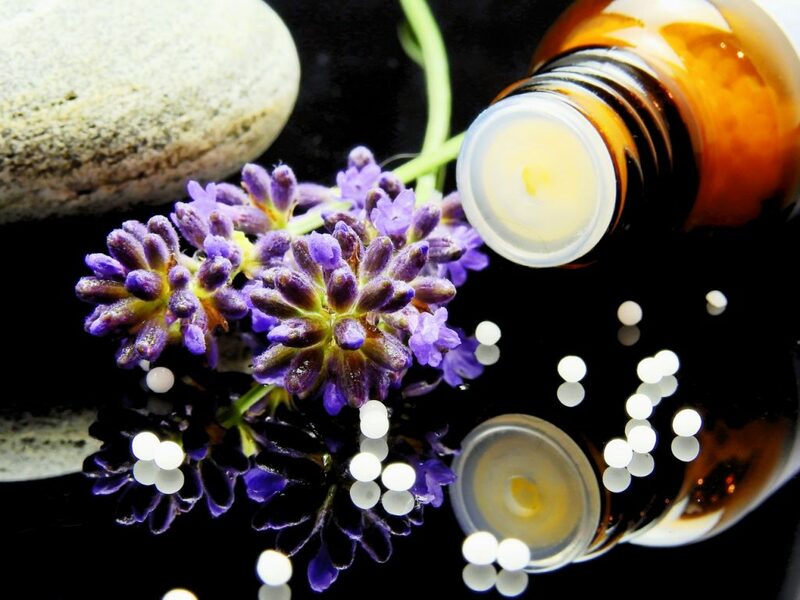 We knew we wanted to bring aromatherapy into our home practice but weren’t sure what the best method would be. Enter our essential oil diffuser. We turn it on, set the timer for an hour and it’s perfect. Our favorite oils to diffuse during our home practice are lavender, eucalyptus, and this Peace & Quiet Blend. For us, good music during yoga is important and effective in creating a positive mindset. And we’ve found the right music can really enhance your home yoga practice. There are a number of paid and free options available, so we suggest you try a few out and pick the one that is right for you. There is actually a great yoga radio station on Pandora, which is free once you sign up for a Pandora account. Additionally, there are many yoga apps you can search for on your phone. We recently purchased this bluetooth speaker, but your phone or other home speakers may work just fine. We were looking for a decent portable speaker and found the noted one above to do a nice job for the cost. Finding the right instruction or ‘virtual’ teacher is often where people lose out when attempting to replicate a home yoga space on a budget to an actual yoga studio. We get it, really. We agree this is probably what is missed out on the most, which is why we still enjoy visiting yoga studios in person now and again. There are some nice options out there, but it can take time to find what works best for you. If you are a well practiced yogi, not having a teacher may not be a big deal. However, for beginners who want direction, it can be frustrating. Someone who can lead themselves with simple flow music is perfectly acceptable, but for those who enjoy more instruction we suggest looking for a yoga app. Similar to the music mentioned above, there are nice free options as well as paid options. We’ve tried different yoga apps in the past, but have found Aaptiv to include everything we need for instruction. Plus, they add new classes each week so you don’t have to repeat the same class over and over. Do you practice yoga at home? What’s a must-have for your space? Thanks to Clever Yoga for sending us their 7 Piece Yoga Kit to review. We use them daily!